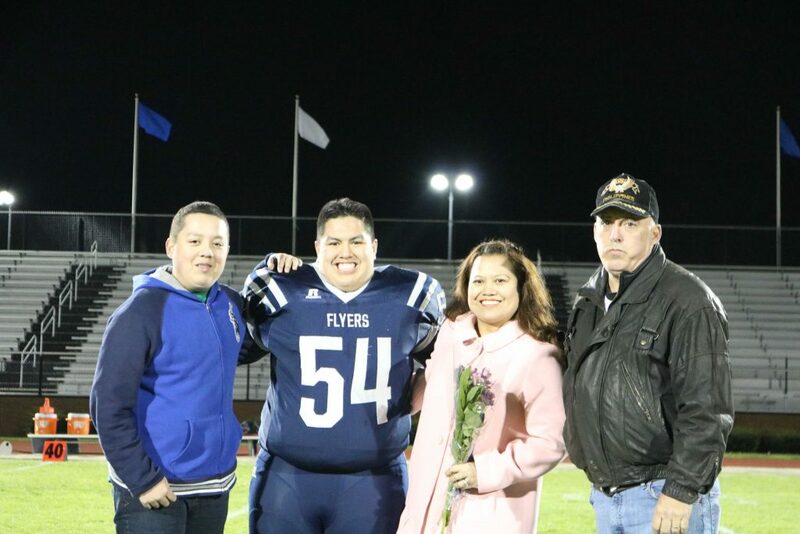 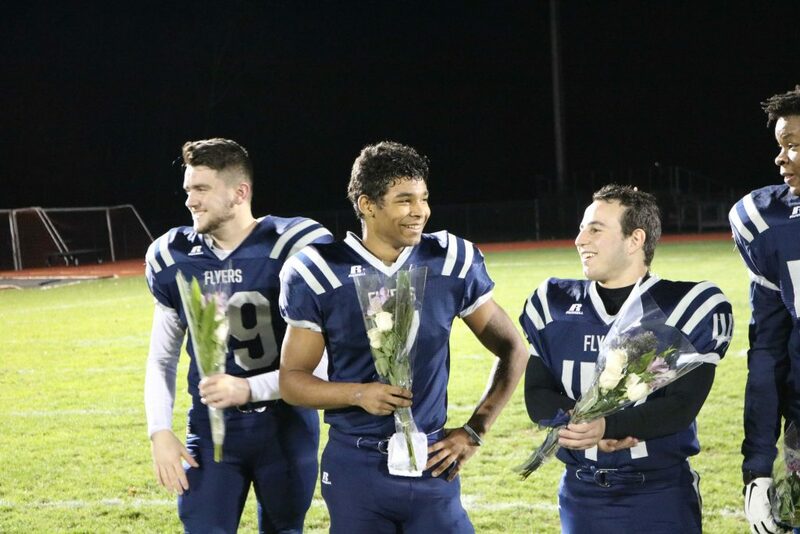 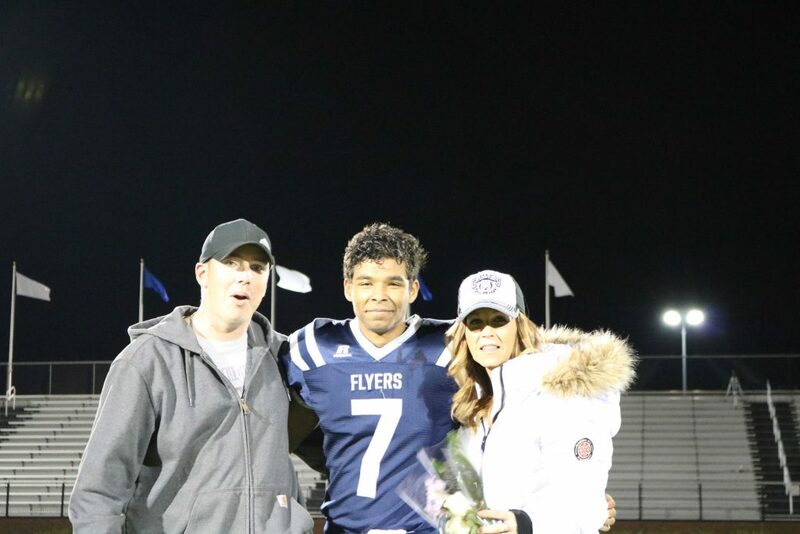 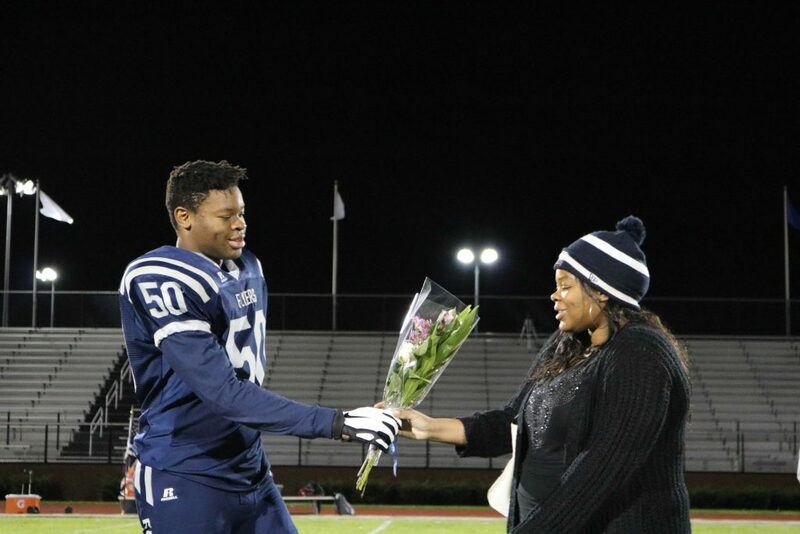 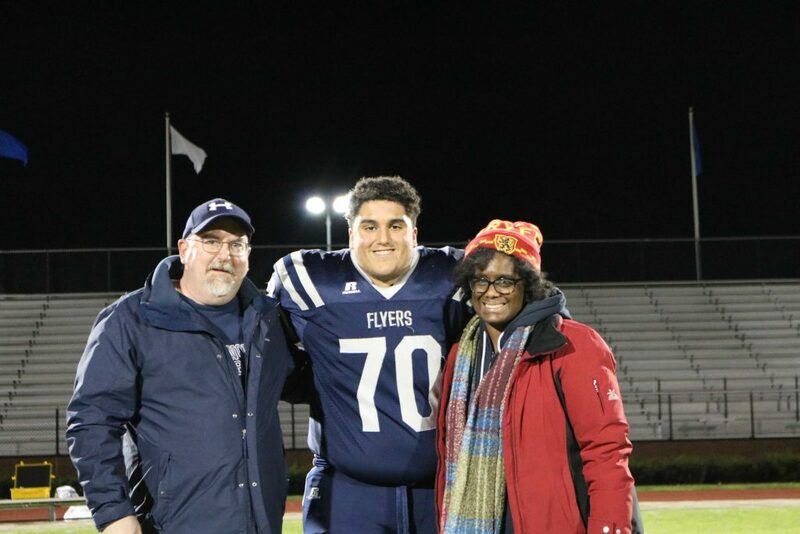 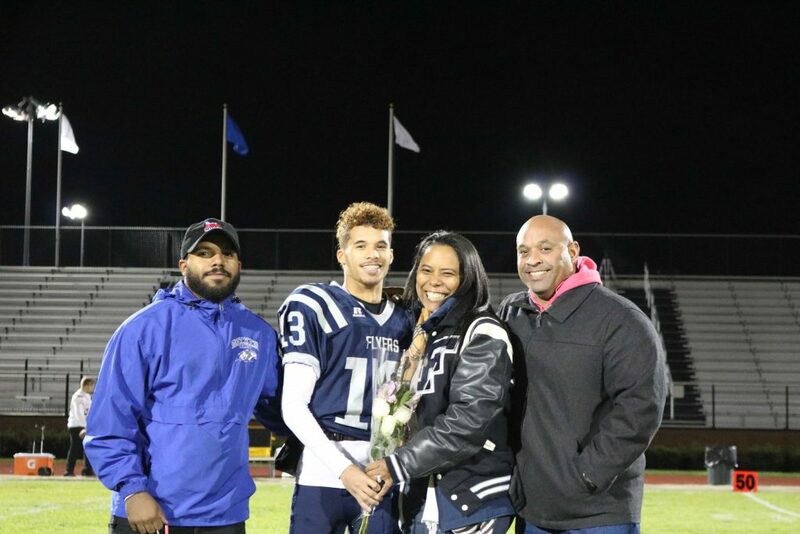 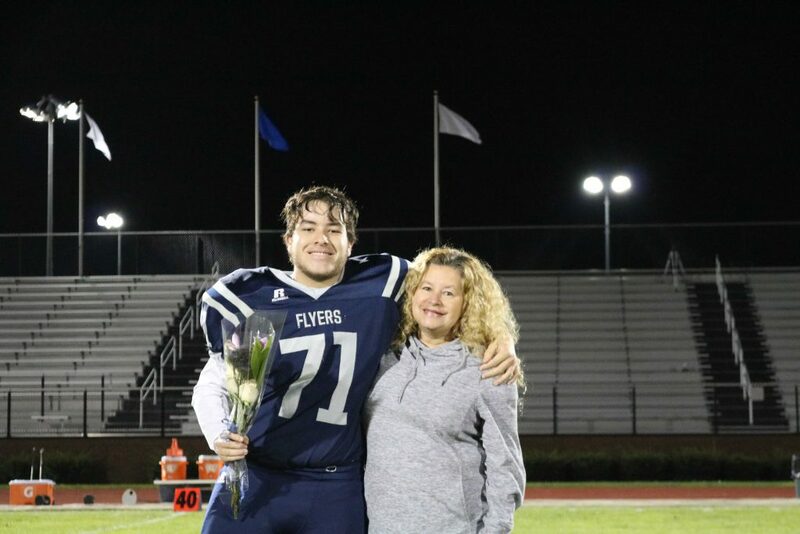 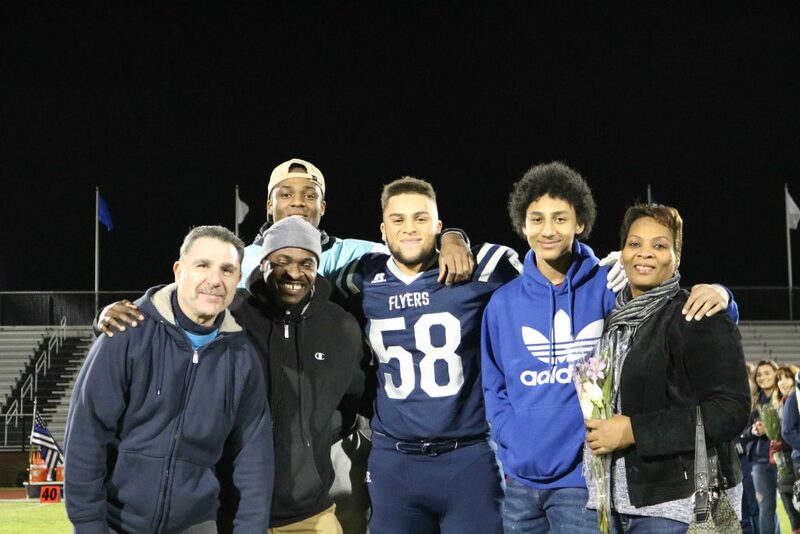 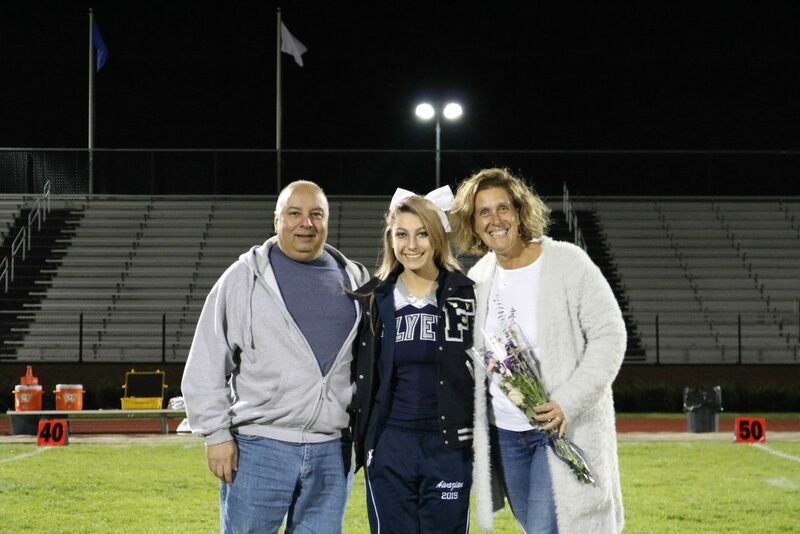 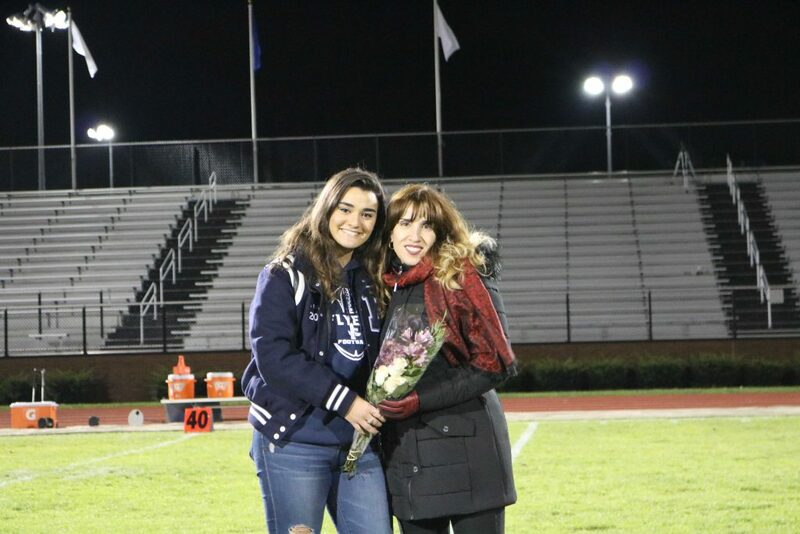 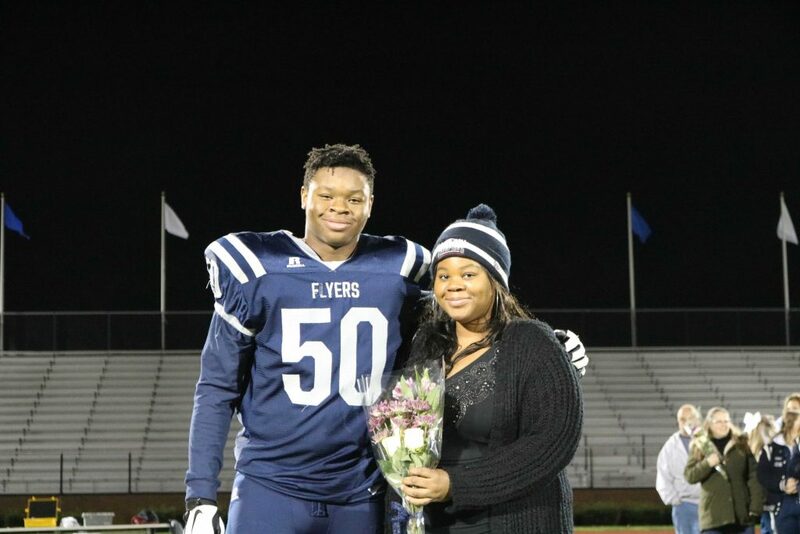 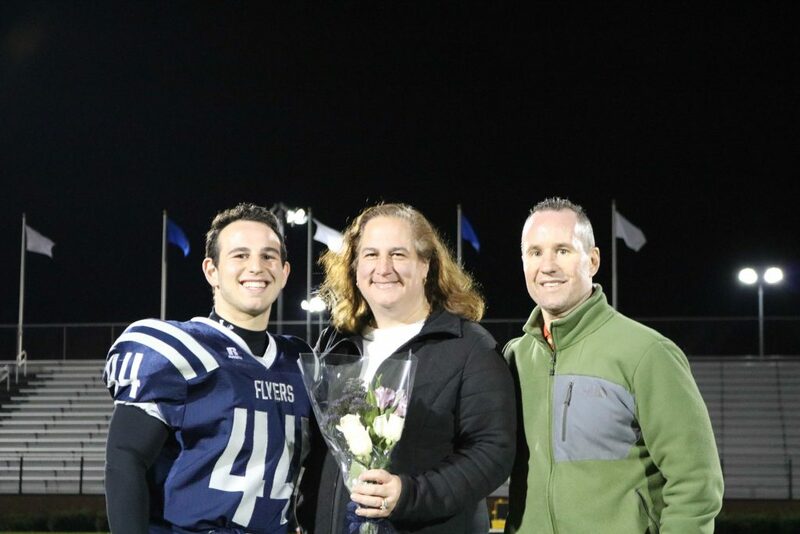 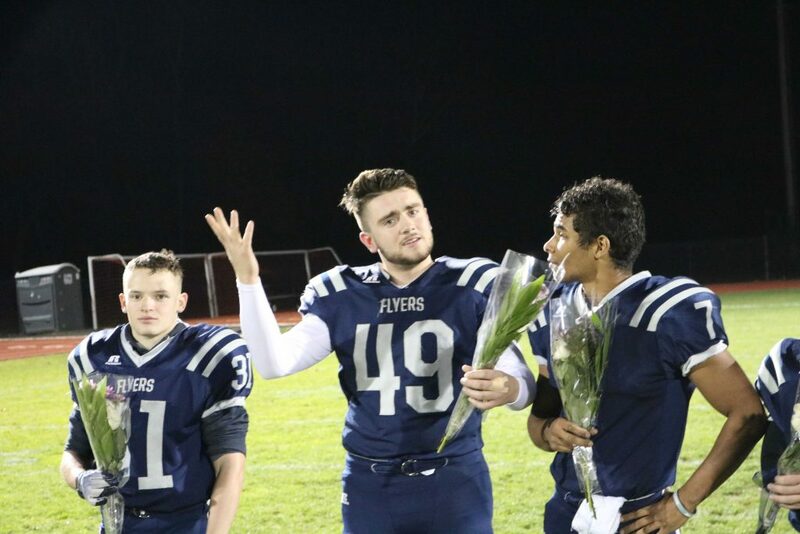 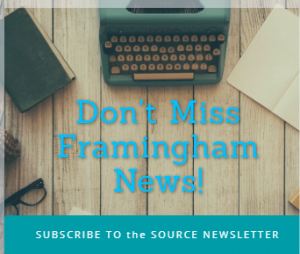 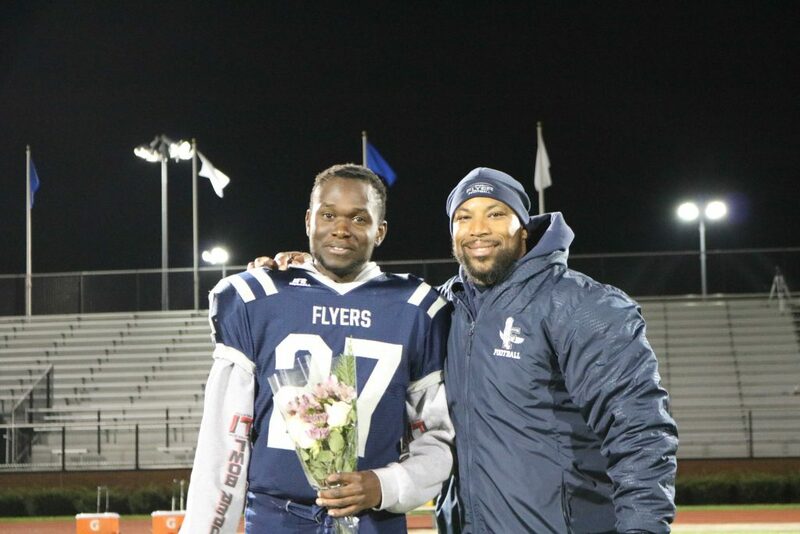 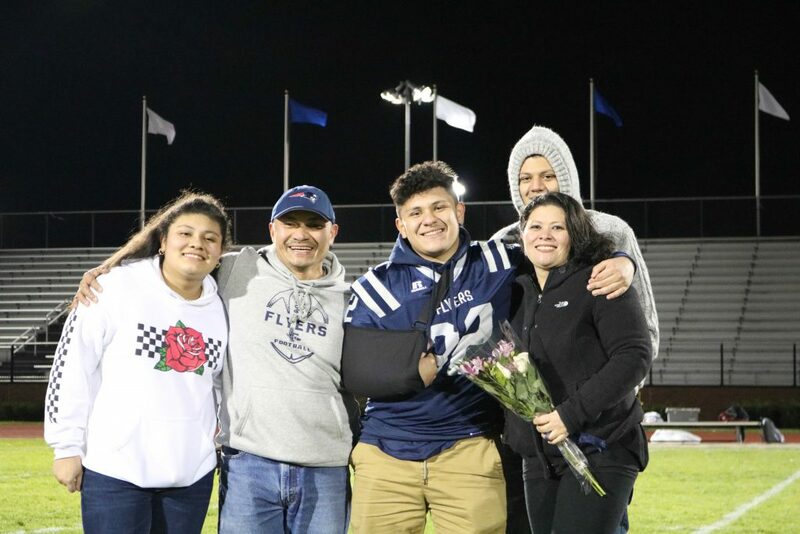 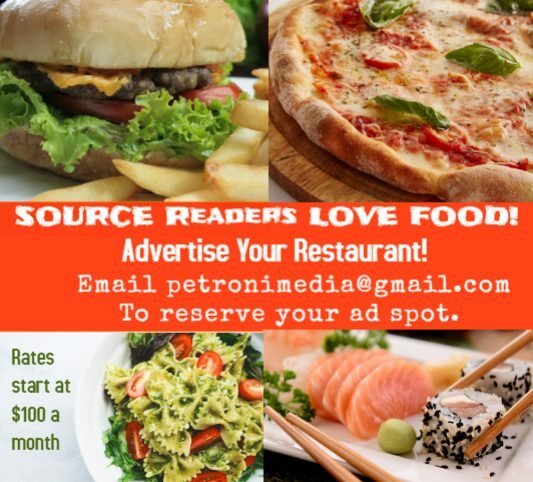 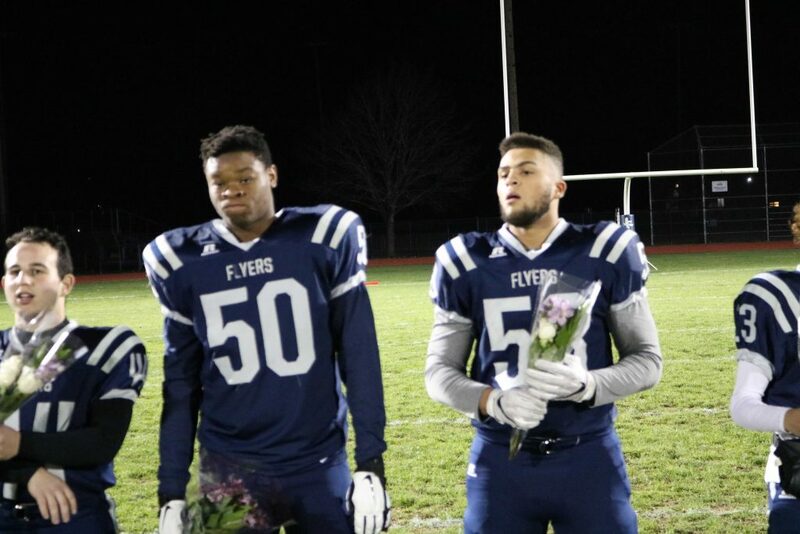 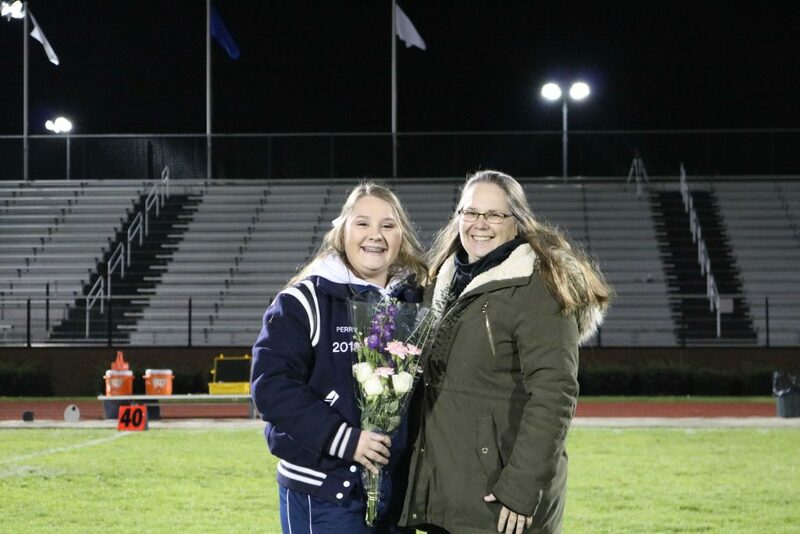 FRAMINGHAM – Junior quarterback Jack Beverly threw for six touchdowns, as the Framingham Flyers defeated the Wildcats of Weymouth High on senior night at Bowditch Field on Thursday, Nov. 8. 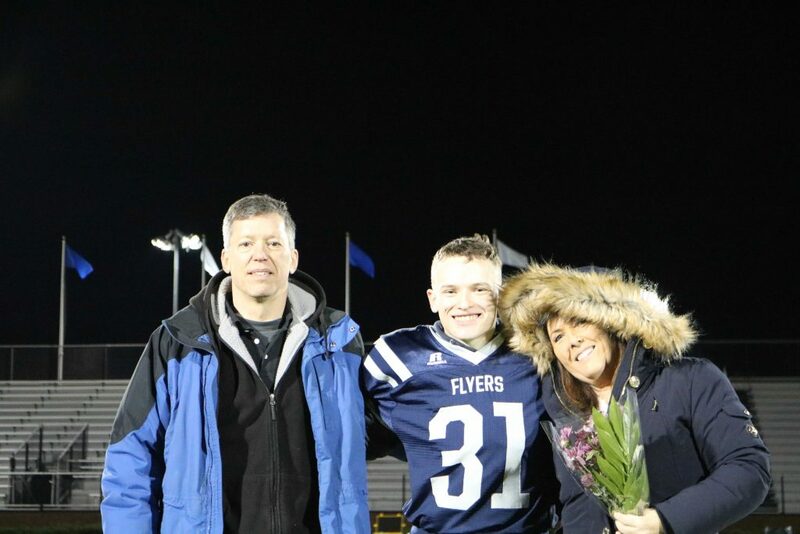 It was the final game at Bowditch Field for the season for the Flyers, who are now 5-5 under head coach Ed Mantie. 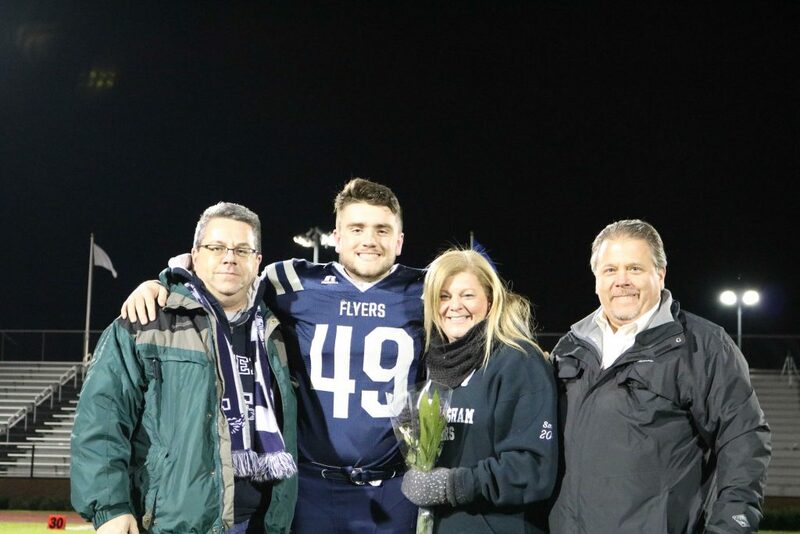 Framingham was to have hosted Natick High on Thanksgiving morning in the 113th match up between the rival teams in the Bay State Conference. 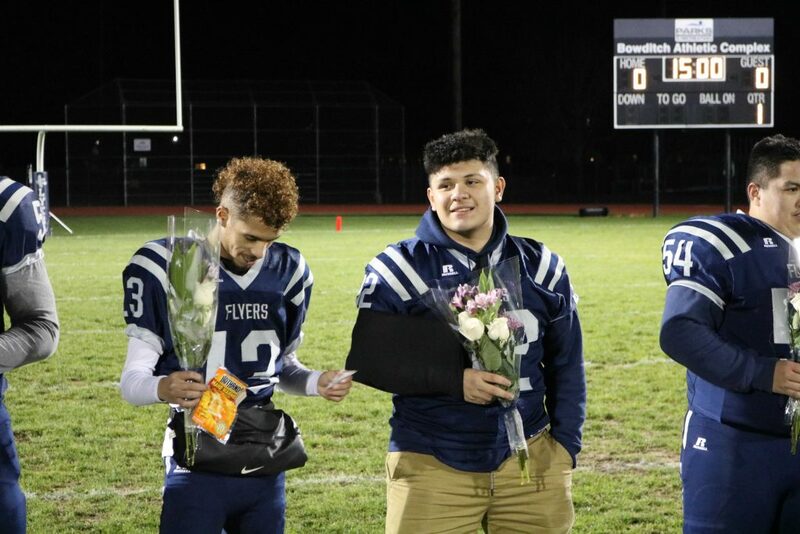 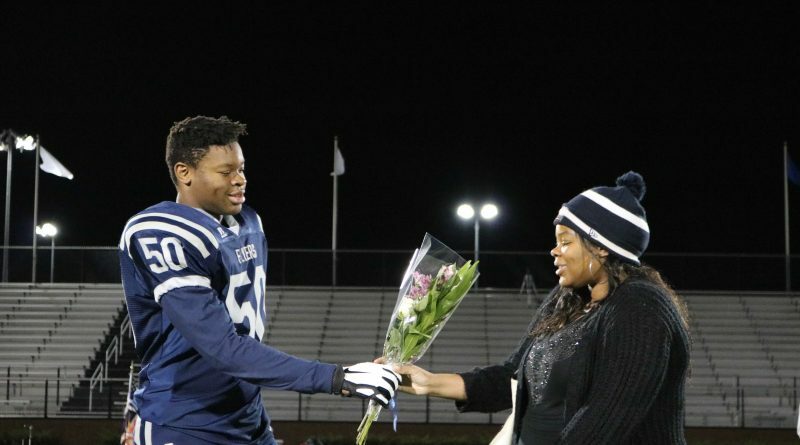 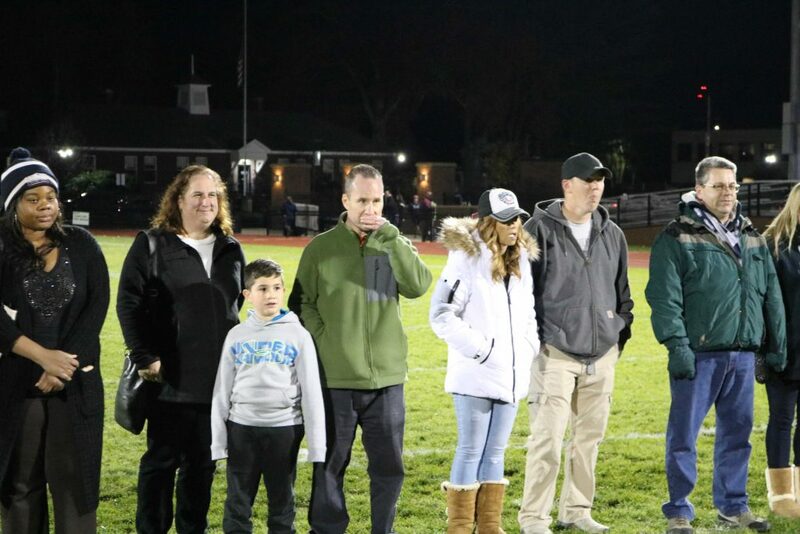 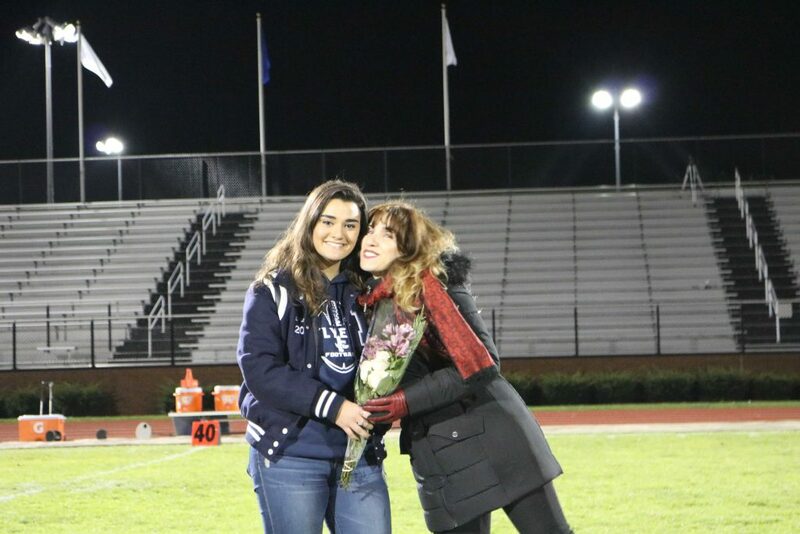 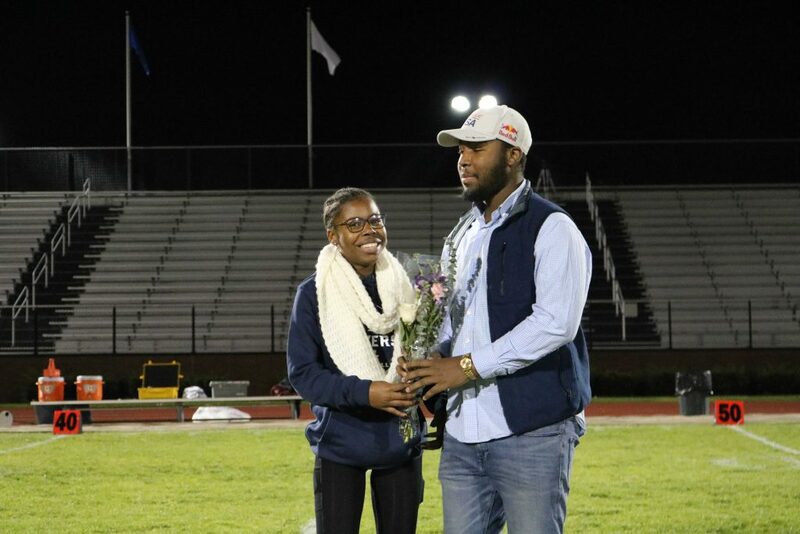 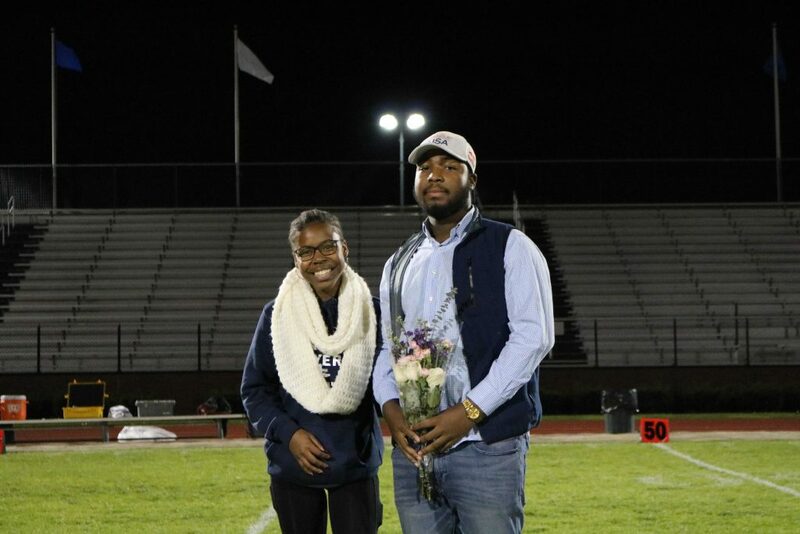 But now the 113th game will be played at Fenway Park on Wednesday, Nov 21 at 7:30 p.m.
Before Thursday night’s game senior cheerleaders and football players were honored.